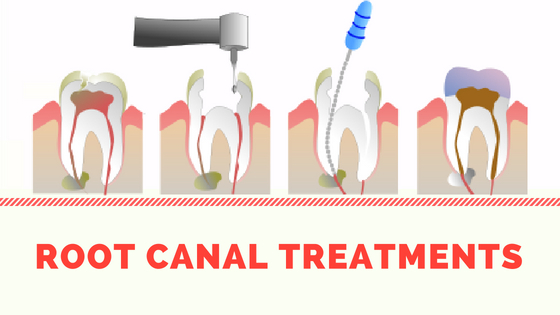 Root canal treatment is used to repair a tooth that is severely decayed or infected. This treatment is virtually painless and usually leaves the patient with the less discomforting situation during recovery as compared to natural tooth extraction, all because of modern techniques and effective anesthesia. When you undergo a root canal procedure, the infected or inflamed pulp is removed, and the inside of the tooth is properly cleaned and disinfected, finally filled and sealed. If the tooth left untreated, the surrounding tissues will also become infected and may lead to the formation of abscesses. Root canal procedure is a blessing to all who suffer from infected teeth. Nowadays, many people are choosing root canal treatment in Long Island to get their decayed teeth repaired. The dentists at North Island Dental Arts are experienced as well as qualified enough to provide the best dental solutions such as root canal, veneers, dental implant, etc. On your first visit, your dentist will ask you to undergo an X-ray examination to locate the exact position of an infected tooth. After the examination, your dentist will numb the tooth with local anesthesia. The dentist will place a rubber sheet around the infected tooth to make sure that the area is dry. An opening is created through the crown of the tooth to the pulp to take away the debris and the nerve tissues that have been infected. Special files are used to scrape out the decayed and unhealthy pulp. Water or Sodium hypochlorite is occasionally used to wash away the debris. After the thorough cleaning of your tooth, the dentist will seal it. If there is an infection, your doctor may use some medication to cure it before undertaking the sealing process. Until the tooth gets a permanent covering or a crown, a temporary filling material is planted on the gutta-percha to seal the opening. A crown also called as a cap looks similar to a natural tooth, is placed over the top of the tooth. The crown makes sure that affected tooth regains its functionality. In some of the cases, a post is put into the root next to the gutta-percha. This gives the crown more support. The final step involves the crowning touch. The crown is attached into place. Who should undergo root canal treatment? People who suffer from the following conditions require root canal treatment. Tenderness or swelling in the gums. Acute pain in the teeth while chewing food or if you are putting pressure in that particular area. Darkening of your tooth. Bump on your tooth gums surrounding the area where it is paining. Sensitivity while consuming hot or cold food. In most of the cases, the feeling remains long after you have eaten such foods. On the contrary, people should refrain from undergoing a root canal treatment if suffering from health conditions, including diabetes, hypertension, infections or fever, autoimmune diseases, osteoporosis, or if someone is taking blood thinning medications. North Island dental art offers advanced dental technology root canal treatment in New Hyde Park, Long Island to people with infected teeth. Make sure you take your medicines regularly as prescribed by your dentist Brushing and flossing your teeth regularly is mandatory. Avoid consuming any drink or food at least for two to three hours after the procedure. It is recommended to avoid hard and crunchy foods for a few days after the treatment. The temporary filling can wear off in between your scheduled appointments if you notice that your entire filling is coming off, consult the doctor immediately. A swelling inside or outside the mouth must at once be shown to your doctor. Are you looking for best dental professionals for root canal treatment in New Hyde Park? Reach out our experts! At North Island Dental Arts, we have some of the best dentists along with comprehensive dental care services.